More bones & other goodies are available during our 50% off Winter Clearance Sale. Come see us at the Eagle Rock Farmers Market. Friday’s from 4-7:30 at the corners of Caspar & Merton, next to the Eagle Rock Branch Library. Today, 12/8 is AdoptedMom’s Birthday, so we will have some special birthday prices this Friday ONLY Ssstop by and check it out!!! Friday 11/11/11 MuttMania will be at the one & only Eagle Rock Farmer’s Market. This market has been ongoing for 17 years. The market officially goes from 5:00Pm – 9:00 PM But if it’s not busy, we pack up early cuz it gets cold!!! Things are very slow at The Silversun Certified Farmers Market. Not sure how much longer Muttmania will be a vendor at this location. Friday 10/21/11 from 4:30 -8:30PM at Caspar & Merton across from the Eagle Rock Library. 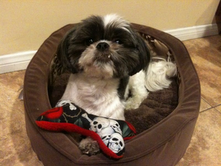 MuttMania is rockin’ the Halloween accessories for your dog! Ties, bandanas, hats, antlers, collars. If you’re looking for a costume accessory we’ve got it! Come by the booth and say Hello. Come to Shop, Stay for Dinner!! My partner and I absolutely love your blog and find a lot of your post’s to be just what I’m looking for. can you offer guest writers to write content for you personally? I wouldn’t mind writing a post or elaborating on many of the subjects you write regarding here. Again, awesome blog! platform for you to get your message out. I think I may have already responded to this comment. So excuse me if it is a duplication. Guest Bloggers are welcome at my blog if they are interested in writing on the topics of dog homelessness, rescue, adoption. Please click the LIKE button at the blog to help us out with Facebook. Subscribe for all the latest posts. And stay tuned in APRIL & MAY we will be having GIVEAWAYs with an opportunity to win some cool new product for your dog & you. Truly instructive web site submit.A great deal thanks again. Retain producing. Thank you for taking time to leave a comment. Glad you are enjoying the blog. Think about subscribing so you never miss a post. It’s as simple as leaving a good email address in the subscription field on the HOME page. No Spam ever! Thanks for taking time to leave a comment. We appreciate the feedback. Subscribe to our blog and you will never miss a new post. Its on the HOME page. Hey! Very good stuff, do say to us when you lastly post some thing like this! Thanks for commenting.If you “subscribe” to the blog you get a simple email notification of new postings/information at the blog as soon as they are uploaded. No SPAM ever. 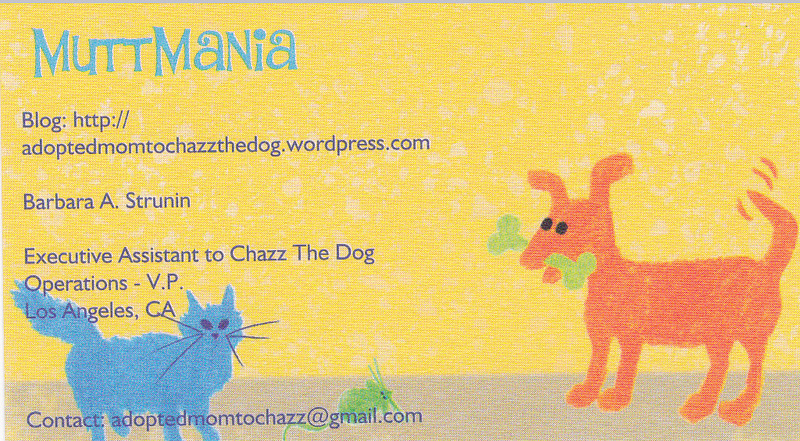 That is the simplest way to stay updated with AdoptedMomToChazzTheDog blog. Find it on the HOME page and leave a good email address. Simple as that! If you subscribe to my blog at the HOME Page you will receive an email notification when new stuff is posted at my blog. No SPAM ever. It’s the way to keep informed. thanks for taking time to leave a comment. we appreciate the feedback. Thanks for the visit and leaving a comment. We appreciate the feedback here at AMTCTD Blog. Look forward to upcoming GiveAways very soon! Disney DVD BlueRay Santa Paws 2: The Santa Pups…BIONIC Dog Treat Stuffer Ball… and PupCHIPS Snack Food for Dogs!! Somethings always going on here at the Blog!!! Thanks for visiting my blog and taking time to leave a comment. Visit again soon. Lots of cool stuff coming up! I much like the useful details you give on your posts.I’ll bookmark your web site and test again the following on a regular basis.I’m quite confident I will discover a great deal of recent stuff ideal right here! Decent luck to the future! thank you for taking time to leave a comment. We work hard at our blog to post educational, fun, interesting info. We always appreciate feedback, even if people disagree with stuff. Check back often. We have GiveAways, and you just might be interested to enter and try to win something!! I similar to the beneficial data you offer in your reports.I’ll bookmark your web log and take a look at once again the following on a regular basis.I’m very positive I will learn about a great deal of new things appropriate listed here! High-quality luck for the subsequent! Thanks for leaving a comment. We appreciate your feedback on our blog. Happy New Year 2013. We hope you return to visit often. I such as the important info you produce in your article content.I’ll bookmark your blog website and examine once again the following regularly.I am pretty definitely sure I’ll be taught lots of recent things correct below! Superior luck for the future! Thanks for leaving a comment. We appreciate your feedback on our blog. We hope you come back and visit our blog on a regular basis. I like the beneficial facts you give on your content articles.I’ll bookmark your web site and look at all over again the following frequently.I’m rather certain I will learn about lots of latest things ideal below! Good luck for that future! I like the helpful information you supply with your articles.I will bookmark your web page and check once more the following consistently.I am very convinced I’ll realize lots of new stuff proper the following! Excellent luck for the future! I much like the precious data you offer you on your posts.I’ll bookmark your blog page and look at yet again here usually.I’m extremely absolutely sure I will be taught a good deal of new things appropriate the following! Decent luck to the up coming! Thanks for stopping by my blog and taking time to leave a comment. We appreciate your feedback. come back often to read cool posts in 2013. I just like the priceless facts you furnish inside of your content pieces.I will bookmark your blog site and investigate yet again listed here continually.I am quite positive I’ll gain knowledge of a good deal of latest things right listed here! Good luck to the following! Thanks for taking time to leave a comment. You have been to my blog before, i remember the kayak name. LOL! Hope you continue to enjoy our work as we aim to please. I such as the precious data you give you in the content pieces.I will bookmark your blog website and verify again here on a regular basis.I am extremely certainly I will be taught lots of new things correct the following! Superior luck for your subsequent! Thanks for stopping by my blog and taking time to leave a comment. We always appreciate the feedback. Lots of new stuff coming up soon. Stay tuned. Subscribe if you would like to receive a single email when new content is posted. Wow, incredible blog layout! How long have you been blogging for? you made blogging look easy. The overall look of your website is fantastic, let alone the content!. Thanks For Your article about MuttMania Happenings & . thanks for the nice comment you left at my blog. We always appreciate feedback. Stay tuned for lots of cool stuff coming up soon. Wow, awesome blog structure! How long have you been running a blog for? you made blogging look straightforward. The total look of your website is fantastic, let alone the content material material! thanks for the kind words in your comment you left at my blog. I have been blogging 2.5 years. As a writer it seemed like a natural thing to do, after adopting my dog. Check back often for more interesting information.